Your mind might be making a list of questions by now, and we are here to answer them! Dylan Lambermont, P.E., LEED AP, is our Drinking Water Assistant Group Head and our in-house expert on utility relocations associated with INDOT road projects. He has done a two-part Question and Answer in order to answer questions you need to know, including ones you may have not even thought of. Click here if you missed Part I or would like a refresher! I know my community is set to have an INDOT project in the coming years. Who do I need to contact about possible utility relocates? To get ahead on planning, you should begin discussions with your utility manager, utility board and an engineer. How can a utility relocation associated with an INDOT project affect my utilities? The relocation can have a cost impact on the utility (but there are cost sharing opportunities for utilities that qualify). 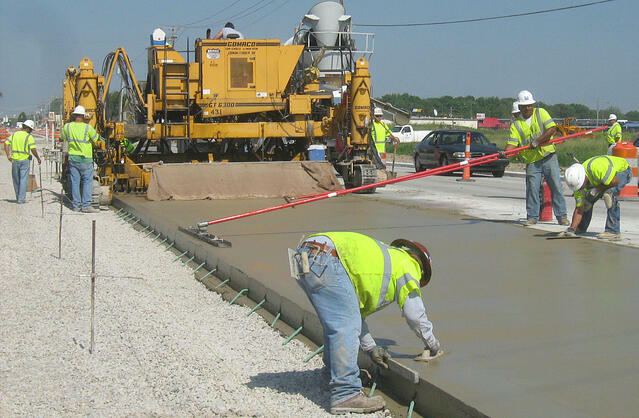 Also, utility manpower is required to coordinate with INDOT and the road contractor. A road project provides an opportunity to upgrade or rehabilitate your underground utilities, and improve drainage conveyances..
What can a 3rd party do to help with a utility relocate project? Assist with planning, cost estimates, easement acquisition, and engineering services. These might all be necessary steps in the relocation process. What input do municipalities and utilities have throughout the process? Be involved throughout the planning and design process, request design changes for the road work to minimize disruptions or eliminate relocations of utilities, and request reimbursement for certain types of relocation work. What are the responsibilities of the utility prior to and during the relocation? You must identify your existing utilities, identify conflicts, propose a relocation plan, and coordinate with INDOT for the implementation of the relocation. Is there money available to help pay for the cost of utility relocations? Yes. If your utilities are outside the existing right of way and they require relocation, then relocation of these utilities is 100% reimbursable. If the utilities are within existing right of way, then the relocation cost is capped at a percentage of the utilities annual revenue.